Pets have been a good gold maker always, no matter how easy they are to get, people are ready to pay a lot for them! This article focuses on Dalaran's pet store, but there are many more vendors and mobs that drop pets all over Azeroth. Expect to see more gold making methods that have something to do with pets. 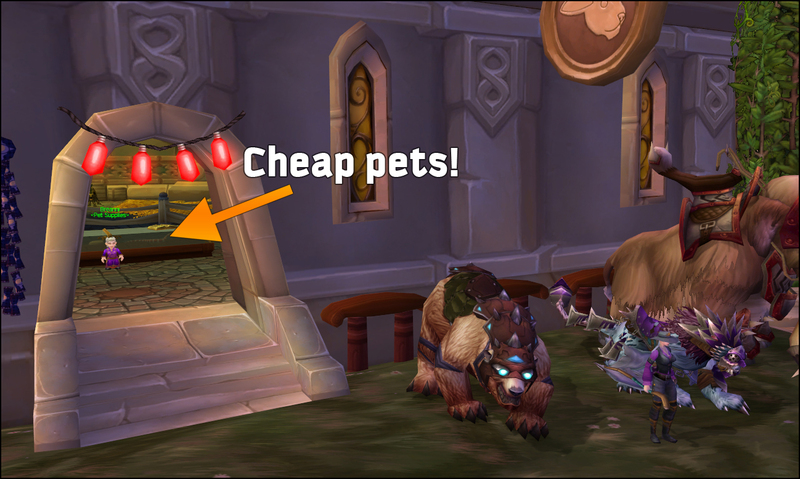 I'm usually the only one selling these pets so I can choose a price freely. I usually list each for about 250g and they need no more than 12-24 hours to sell, assuming no one else is undercutting you. Sometimes the Obsidian hatchling will even go for 600g! It's important that you list no more than 1 or 2 pets of the same type at a time or buyers will notice that the pet seems to be obtained easily and will research on how to obtain it on their own. Note: Breanni is not affiliated with any faction, so you can't get reputation discounts here.